Featuring more than 100 photos and quotes from cats in America’s most glamorous city, Felines of New York exposes the furry underbelly of New York City’s most glamorous, self-important residents. Jim Tews made his stand-up television debut on Last Comic Standing and was featured in an episode of Louie in 2014. Previously he was one of 2011’s New Faces at Just for Laughs Montreal and has performed in the Bridgetown Comedy Festival, the Eugene Mirman Comedy Festival, and SF Sketchfest. He recently created/cowrote and starred in The Undone Sweaters web series about a sociophobic Weezer cover band, which was featured on Funny or Die and Nerdist.com. He also created the HBO Labs’s web series The Opener and recently directed a feature length documentary about Cleveland’s independent comedy scene called Make Fun. 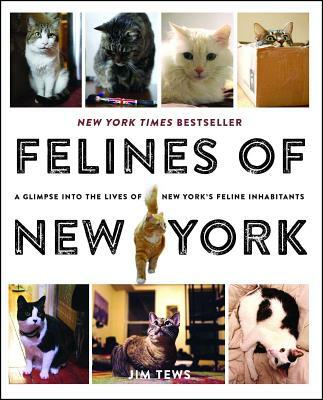 Felines of New York is his first book, and perhaps his greatest achievement to date.